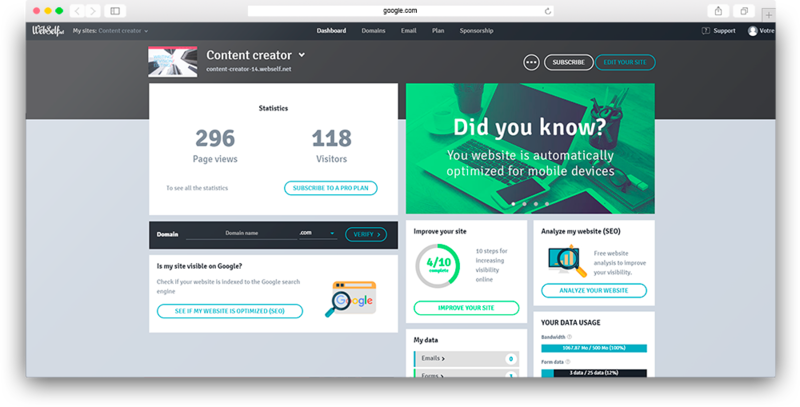 You will see first, at the top left, the statistics of your site: the page views and visitors. For detailed statistics, you will have to switch to a premium plan! On the right, you have a checklist of 10 steps to gain visibility and improve your SEO. It is also in this column that you have access to your website data: emails, forms and survey responses. 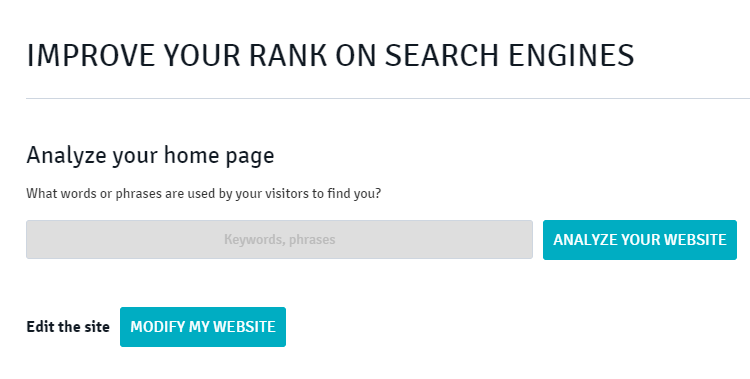 Analyze your website (SEO): Use this feature to analyze your site quickly. See immediately if your site is visible on the search engines. 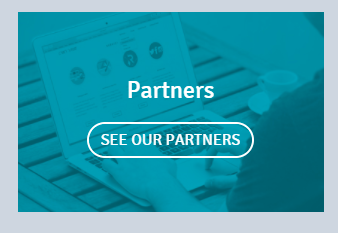 Partner page: Quickly access our Partners page to discover tools and trusted companies that are complementary to WebSelf! Another new feature: We have improved the user experience by adding buttons to access your other websites quickly. If you own multiple sites, just click on the arrow next to your website name at the top left. You can then manage and edit your different websites easily. Also, by clicking on the three small dots, on the right, you can also edit the address of your website, copy it (duplicate), transfer it, or delete it. 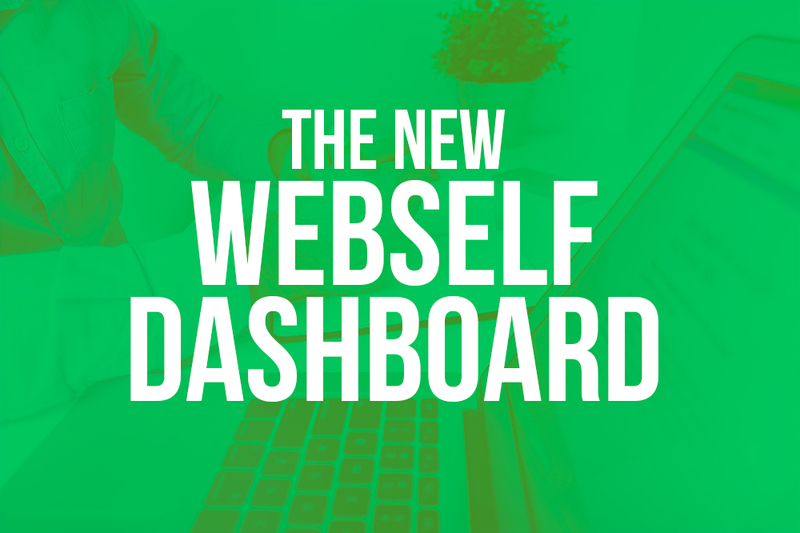 Did you notice this new dashboard? What do you think?